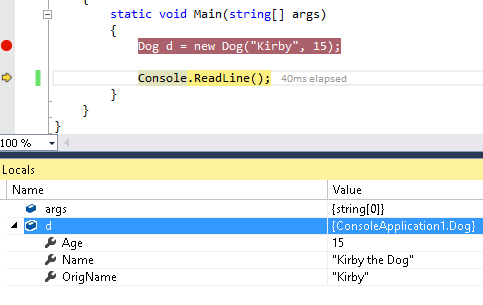 C# 3.0 introduced auto-implemented properties. The new syntax provided no mechanism for specifying a default property value. To specify a default value, you either needed to go back to using an explicit backing variable or to set the default value from within a constructor. C# 6.0 supports specifying default values for auto-implemented properties, as shown below.